Stainless steel mirror heavy duty with 8 mm thief resistant concealed fixings. 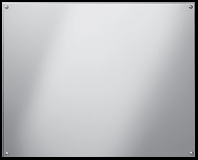 Stainless steel mirror 1 mm thick. 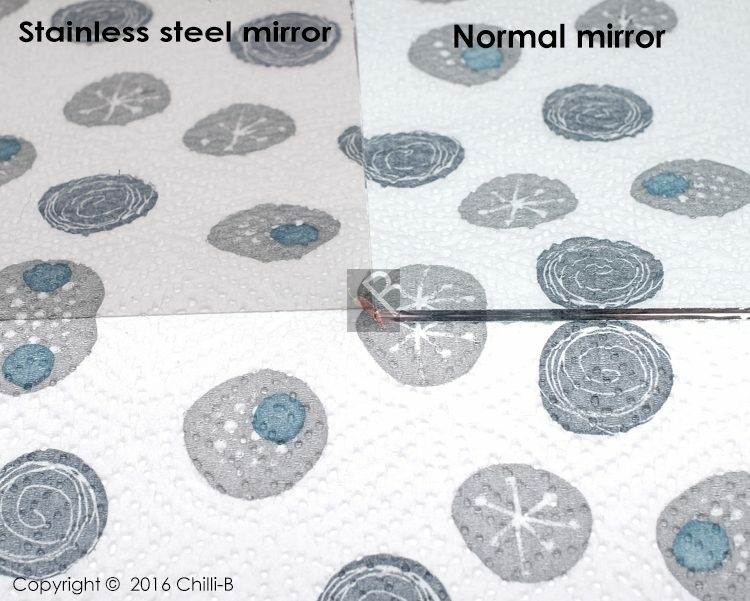 Comparison between stainless steel mirror and standard glass mirror.